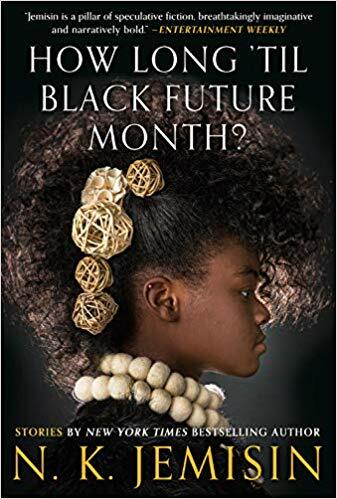 Best New Sci-Fi & Fantasy Books: April 2019 | Nerd Much? April brings a healthy mix of young adult sagas, sci-fi adventures, and fantasy epics to load up your TBR. 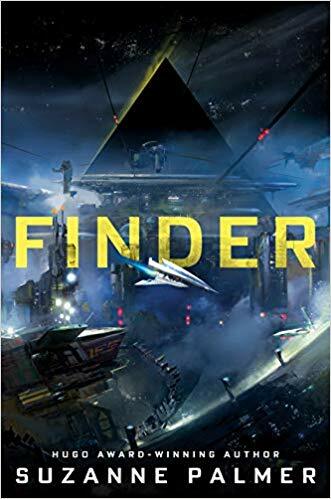 If you’re looking for a fresh voice, there’s Suzanne Palmer’s first novel, Finder, which follows the repo man Fergus Ferguson on his search for a missing spaceship in a distant colony falling into civil war. 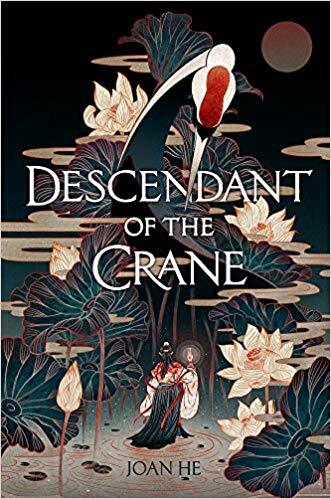 Or there’s Descendent of the Crane by Joan He, a story of a reluctant young ruler and her father’s mysterious death in a kingdom on the verge of collapse. 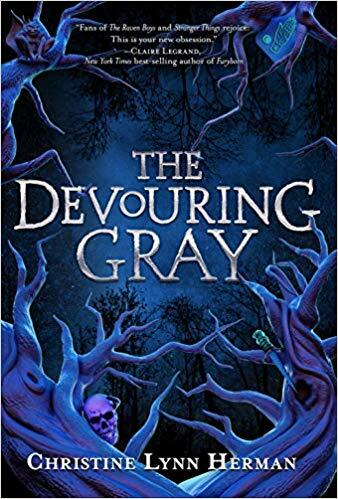 For something to tide you over before Stranger Things season 3 arrives this summer, consider adding The Devouring Gray by Christine Lynn Herman to your TBR. Or if you’re in the mood for a fresh fantasy epic, the latest from Sam Sykes introduces the ex-magician Sal the Cacophony in the first book in his The Grave of Empires series. There’s a wide variety of genres to choose from this April, so it’s the perfect time to get out of a reading rut and try something out of your comfort zone. Hugo-Award-winner Suzanne Palmer (The Secret Life of Bots) introduces us to the charming Fergus Ferguson in her debut novel. Tasked with tracking down the spaceship Venetia’s Sword and stealing it from the trade mogul Arum Gilger, Fergus Ferguson doesn’t expect much to go wrong. He finds the ship in Cernee, a distant colony, just in time to witness the beginning of a civil war. The two factions become locked in a violent struggle, and Fergus is forced to choose a side—opposing Gilger and his allies—just to survive. In addition, an alien species Fergus believed to be the stuff of legends has taken a particular interest in him. Fergus Ferguson will endure a variety of trials that force him to make unusual friends and journey through dangerous places in this full-tilt heist adventure. Joan He makes her debut with a fantasy rich in world-building, inspired by her upbringing as a Chinese American. Princess Hesina of Yan is the reluctant heir to her father’s throne, always wishing for a more ordinary future. When her father dies, she finds herself the ruler of a kingdom in disrepair. And she suspects that her father was murdered by someone close. The imperial court has no shortage of power-hungry advisers, some of whom want Queen Hesina to use her father’s alleged murder as the spark that starts a war with the kingdom of Kendi’a. 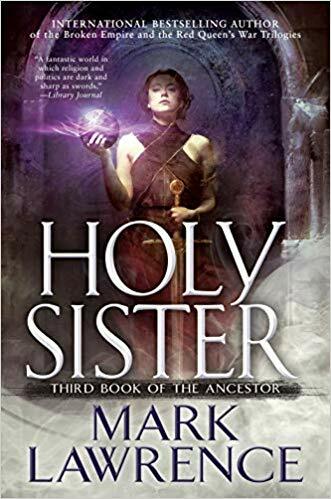 Rather than bend to their will, Hesina seeks the aid of a soothsayer to find answers regarding her father’s death—even though magic has been illegal for centuries and she risks her life by doing so. This inexperienced and reluctant queen must choose who to trust as she struggles to maintain control and avenge her father’s death. Christine Lynn Herman explores family mythologies in a story of a small town that may appeal to fans of Stranger Things. After her sister dies, Violet Saunders and her mother travel to Four Paths, New York, where Violet learns that her family’s history is not what she thought. The Saunders are one of the legendary founding families of Four Paths. Justin Hawthorn should be able to protect the town from the dimension known as the Gray, but unlike the rest of his family, he is without powers. Unable to do his duty as a Hawthorn, Justin struggles with his identity and his deficiency that shames his family. He has made some enemies along the way, like Harper Carlisle, who was trapped in the Gray for days as a result of Justin’s inability. With more and more falling victim to the Gray and its terrible monster, tensions are building as family histories and struggles for power threaten to send the town into the hands of the Gray. The final chapter in Book of the Ancestor examines the woman Nona Gray has become since her training began. Nona is close to becoming a full-fledged sister and donning her nun’s habit. But besides the usual obstacles between a trainee and the habit, Nona’s chances are also lessened by the threat of the Scithrowls’ siege upon the struggling empire and the narrowing Corridor. She is a warrior, but she can’t stop a war alone. As a final fight approaches, Nona must choose whether to claim a power that threatens to destroy her—it may be the only hope of protecting those she cares about. Lawrence is sure to deliver in this conclusion to his bestselling trilogy. Jameson introduces a familiar world in the middle of nuclear war in this psychological thriller. Joe and twenty other survivors are holding out in the Swiss L’Hotel Sixieme while the rest of the world burns. He never responded to the last text message from his wife, which haunts him daily while he works on a response. Then he received several notifications informing him of various major cities struck by nuclear blasts. Months later, Joe and the other survivors find themselves disturbed by an eerie hotel that pushes several to suicide. When the body of a young girl is discovered, the uneasiness grows. Joe takes on the mystery of the girl as a way to cope in a devastated world. Leaving the hotel could mean starvation and death, but staying may be worse. 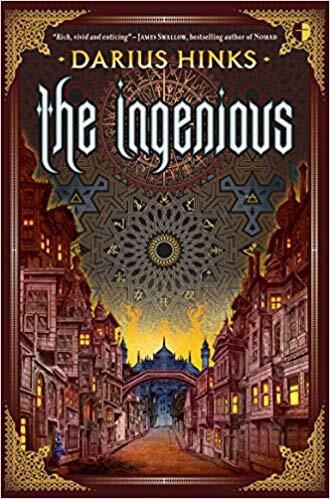 Sam Sykes begins a new epic fantasy that looks at a lost magician in a world at war. Sal the Cacophany is without her magic and without friends. But she still holds the weapon that she used to mold her life. The only thing she can trust is her instinct. Revenge is her goal, and she seeks in in the Scar—the land between empires where forgotten mages vanish. There are seven people that Sal and her weapon owe a visit to. 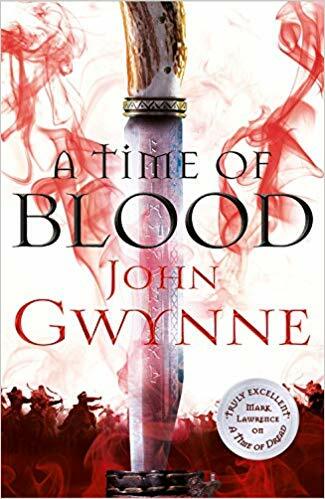 John Gwynne, winner of the David Gemmell Morningstar Award, continues his Of Blood & Bone series with a grand and action-packed sequel. After the battle of Starstone Lake, Drem and his allies witnessed the return of a demon and must spread the word—before they are hunted down. Meanwhile, Riv is still wrapping her head around her newly discovered heritage. Her existence could disrupt—and possibly destroy—the warrior angels. Fritha, the high priestess of demons, is launching a war against the weakened warrior angels that may be more than they can handle. But Drem steps up to the challenge to fight for the place he has called home. 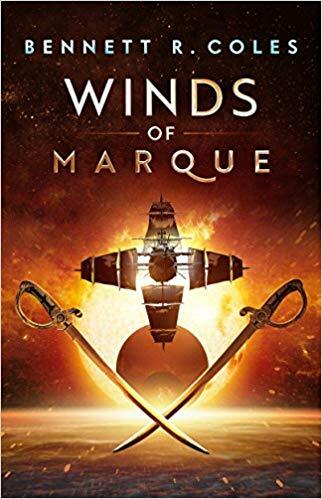 Described by the publisher as “Master and Commander in space,” The Winds of Marque is a space epic with a healthy dose of pirate. Solar winds guide the starfaring vessels—the variety that uses massive masts and sails to propel themselves through the cosmos. The HMSS Daring is hunting down ships involved in illegal trading, hoping to track down the pirates’ hideout. Liam Blackwood and Amelia Virtue, the second-in-command and quartermaster of the Daring, respectively, are doubting the decisions of their captain. The crew is losing trust, and murmurs of mutiny are growing louder. Meanwhile, Liam and Amelia are struggling to understand their feelings for each other. Coles is committing fully to the space-pirate theme of his world, and it sounds like it’s going to be a blast. 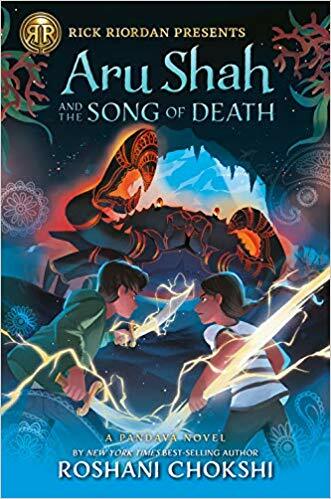 The latest book under the Rick Riordan Presents imprint is Roshani Chokshi’s follow-up to her popular Aru Shah and the End of Time. Aru Shah’s life changed forever when she was thrust into a realm of Hindu legends straight out of the Mahabharata. Now, she sets off on a quest to find the god of love’s iconic bow and arrow—the thief is using them to create an army of fighting zombies, and astonishingly, Aru is the primary suspect. With limited time to find the true thief, Aru risks being expelled from the Overworld and losing her newfound friends. But working by her side are her friends Brynne and Aiden, who will help her conquer demons, travel through dangerous realms, and get to the bottom of the mystery. Rick Riordan’s new imprint seeks to highlight authors from underrepresented minorities and give them a chance to tell stories from their cultures and religions. While Roshani Chokshi’s Pandava books aren’t set in the same world as Riordan’s Percy Jackson series, they offer a similar style of adventure in a myth-meets-reality setting. The Croft is entirely isolated from the rest of the world and its entrenchment in technology and connectedness. Located at the heart of Bristol, it’s the one place where people can truly escape technology, and as a result, it’s a creative paradise that defies the ways rest of the world. After a cyber attack of unprecedented size, the Internet is completely destroyed, leading to a global calamity affecting societies on a massive scale. With everyday life a thing of the past, the world has become dangerous, and many people find themselves separated from those they had been close to. Mary is a denizen of the Croft who receives visions of the dead—a skill that makes her the center of attention both good and bad. Many believe she is capitalizing on the grief of others amid a catastrophe, while others turn to her for answers and comfort. 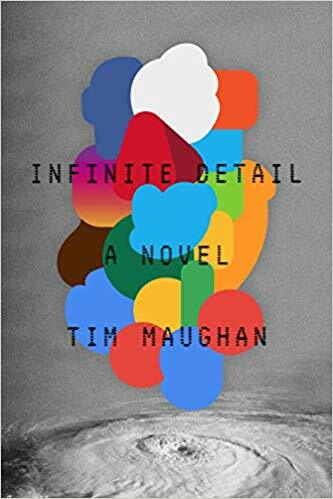 Infinite Detail sounds like an interesting look at an almost-apocalypse that is far from impossible. 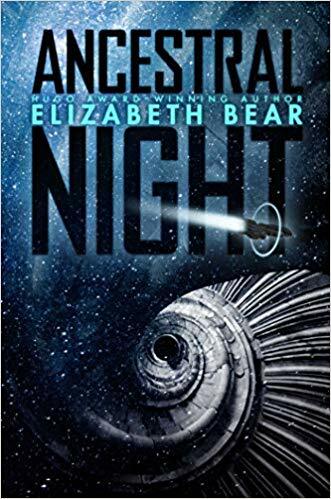 Elizabeth Bear is launching an ambitious and idea-packed space opera with Ancestral Night. Salvage operators Halmey Dz and her partner Connla Kurucz live meager lives in the hopes of landing a big score. While searching for debris from ancient human and alien ships in scars left from failed White Transitions, they discover something about an alien race thought long gone. This revelation could launch the fragile peace of humanity into a deadly war. The penultimate Harbinger novel explores a friendship tested to its limits in a fragile kingdom on the brink of war. With the emperor killed, Sera Fitzempress is positioned to take the throne. The last step to the crown is her marriage to the prince. Were she in control, she might be the only one capable of preventing a war between Kingfountain and Muirwood. However, Cettie has discovered something that not only redefines her life but also threatens to unravel the kingdom and send it to war. She is forced to give up her life and her love to prevent her best friend from marrying the prince and destroying the kingdom. Tensions are high in this tale of a kingdom on the edge of destruction. And Sera and Cettie’s friendship may be the only thing preventing mass devastation. 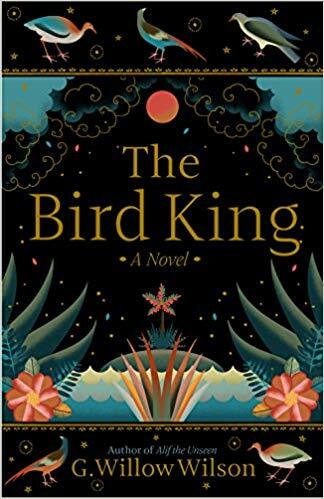 Set in Muslim Spain during the times of the Spanish Inquisition, The Bird King examines a period of religious strife through the eyes of two friends. Fatima is a concubine in Granada’s royal court whose best friend, Hassan, has a unique ability. He can create maps of places he has never been to and can alter reality itself. After servants of the Spanish Monarchy visit the palace to determine the terms of the surrender of Granada, Hassan’s powers are viewed as sorcery by the representatives of the Monarchy. 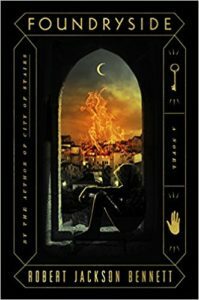 Fatima and Hassan must escape, and with the help of a jinn, they begin their journey across Spain to seek freedom. Barrie Anne Blythe lives with her aunt Charlotte on the edges of a small coastal town. They have sequestered themselves for years to conceal a family secret—they hold strange powers that would not be accepted by others. When a baby with similar abilities is abandoned at their home and Barrie Anne Blythe’s long-missing husband returns, things begin to change rapidly for two women trying to avoid the prying eyes of the rest of the world. 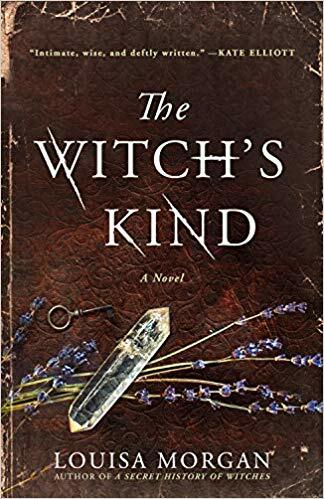 Louisa Morgan, known for A Secret History of Witches, promises to examine family secrets and mysterious magic in this intriguing post-World-War-II story. In a war against Mars, soldiers are transformed into light to be quickly transported between various interplanetary theaters of war. This changes these soldiers—known as the Light Brigade—in strange ways. Dietz is a new recruit who has been experiencing bad combat drops that separate him from the rest of the platoon. The things he sees do not align with what he’s been told about the war, and things quickly become muddled. To make matters worse, Dietz can’t be sure whether what he’s seeing is real or the result of combat-induced madness. The Light Brigade promises to be a mind-warping examination of war and its consequences on its soldiers and those it impacts. 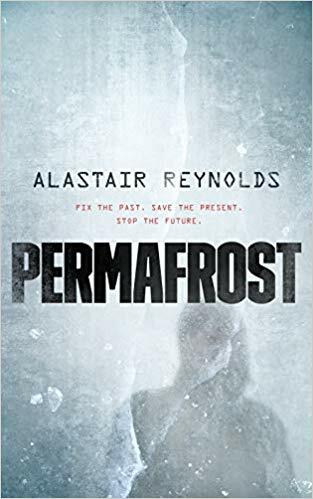 Sci-fi legend Alastair Reynolds takes on time travel and extreme climates in Permafrost, a race to save humanity through a bold experiment. In 2080, several scientists and engineers make the tough decision of attempting to tweak the past to prevent disaster. They hope to stop the current catastrophe without significantly rewriting history, but to do so, they need the help of a schoolteacher whose mother was a leading professional on paradoxes. In 2028, a woman begins hearing things after a basic brain surgery. The voice has its own intentions, and it wants her to listen. Obeying would upend her life, but resisting would not be easy. 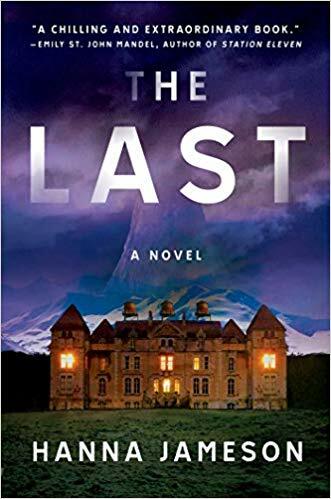 There’s a lot going on in the premise of this sci-fi thriller, and its brevity puts it at an unusual sweet spot for an author known for both his short stories and his novels. 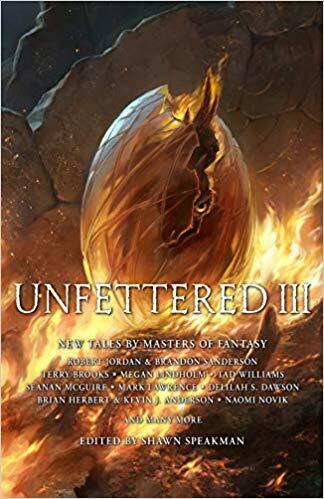 If there’s one anthology you pick up in 2019, Unfettered III is a pretty safe bet. Be haunted by the chilling ghost story of Megan Lindholm. Revisit the Magicians world with Lev Grossman. Return to Osten Ard in an epic first look at Tad Williams’s Empire of Grass. Share a heartfelt story of loss and gain with Callie Bates. Cross the sands of the desert planet Dune with Brian Herbert and Kevin J. Anderson. Travel the Ways in a new Wheel of Time novella with Robert Jordan & Brandon Sanderson. Enter the amazing potter city of Seven with Naomi Novik. And many more stories, all wondrous alongside beautiful art by Todd Lockwood! Whether you’re a fan of the books or the recently-revived Amazon series, the latest installment of The Expanse is not one to miss. There are thirteen hundred new gates in various solar systems, and most of them lead to ancient alien ruins. Elvi Okoye is on a quest to discover what genocide occurred long before humanity’s existence and to discover weapons to fight in a massive war. Meanwhile, Teresa Duarte must quell her father’s efforts as the emperor. Her primary threats in the palace include the prisoner James Holden and the sociopath and scientist Paolo Cortázar. 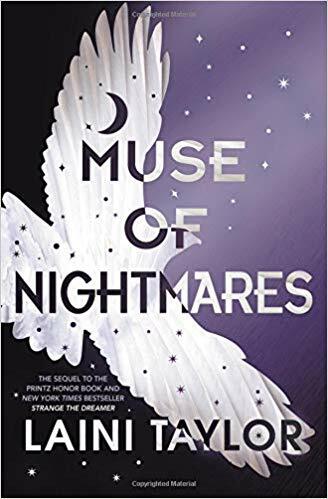 There are massive forces at work, and the mysterious nightmares between solar systems may be more than humanity can handle. Brody and Rendell offer a retelling of Les Misérables unlike any you’ve ever seen. In this rendition, the French planet Laterre, once a haven where families could look forward to generations of prosperity, has become a place divided by its two classes. The wealthy control every aspect of society while the rest of the citizens of LaTerre struggle to survive. The heroes stand at the center of an incoming revolution. The street-smart thief, Chatine, sets out to spy on the grandson of Laterre’s most powerful individual. The military officer, Marcellus, aims to take over the military. But a strange message hidden behind a code gives him reason to doubt the government he serves. The guardian of the last library, Alouette, visits the planet’s surface for the first time after a strange murder. This imaginative and ambitious reimagining promises to introduce a French Revolution like we’ve never seen it before. 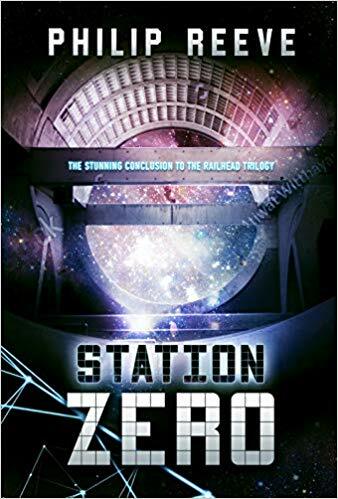 Reeve concludes the fast-paced Railhead trilogy with Station Zero, which sends a retired Zen Starling on one more adventure. Nova, a humanoid AI, was Zen’s closest friend in the universe. Now, she is on a distant planet, unreachable for Zen, whose new mellow lifestyle has become deeply unfulfilling. When Zen receives a strange message, he once again embarks on the mysterious rails that connect the celestial bodies of the galaxy to find whatever awaits. The ending of Black Light Express left us with plenty of questions, and knowing Reeve, we will find just the right amount of answers in this adventurous finale. 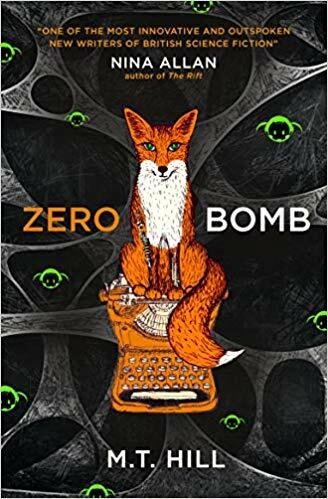 Holmberg, author of the Paper Magician series, brings us something fresh and inventive in the first book in her Numina series. Sandis is the host of an ancient being who can turn her into a monster at any time. When this happens, she has no control and must do his bidding. She isn’t the only vessel, but she is capable of hosting spirits far more dangerous than any other vessels, a quality that puts her in extreme danger. 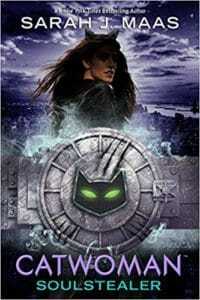 She befriends a thief named Rone, who has a device which makes him invincible for one minute at a time. To escape her master, Sandis runs away from the corrupt city she called home. With Rone and his device, she may be able to outwit her master, but he sends everything he has to track her down and bring her back under his control. 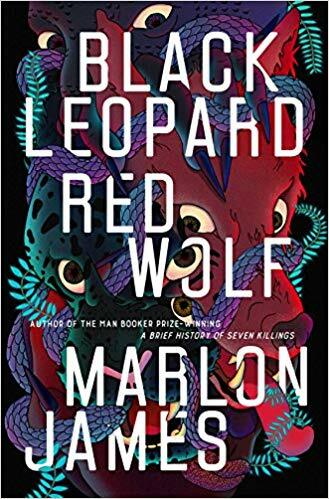 Marlon James, who won the Man Booker prize for A Brief History of Seven Killings in 2015, introduces a fantasy trilogy set in a jungle world inspired by African mythology. Tracker’s name comes from his incredible talent of hunting down his prey using his preternatural sense of smell. He breaks his streak of working as a lone wolf when he joins a group in search of a boy who vanished years ago. Among them is a shapeshifter called the Leopard. Tracker, the Leopard, and the group come up against deadly creatures as they traverse ancient civilizations in search of a mysterious child. Someone clearly does not want Tracker to find the boy, and a web of deception isn’t making anything easier. Black Leopard, Red Wolf sounds poised to introduce a fantasy trilogy unlike anything else out there. Joanna Hathaway’s debut novel invites us to explore a World-War-I-inspired adventure of schemes, spies, and love. Athan Dakar and Aurelia Isendare come from opposite backgrounds and opposite sides of a global conflict. Athan’s father, a prominent general, believes that the Queen of Etania assassinated his wife. 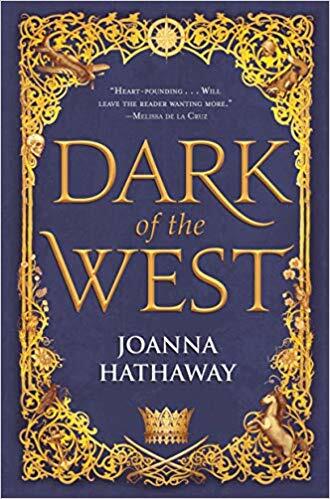 He sends Athan as a spy to undermine the Queen’s power, and Athan falls in love with the daughter of the queen—Aurelia. His feelings are returned, and Athan and Aurelia struggle to understand a war with a complicated history, all while the world is about to erupt in flames. The two young lovers must find a way to be together without betraying their families in a war that is all-reaching. Update 2/28/19: Sadly, it looks like Hathaway’s debut novel is a bit underwhelming, with Tor.com’s Liz Bourke calling it ‘readable, but like it’s characters, bland and rather unformed.’ Bummer. In Swine Hill, ghosts are fairly common. Nearly everyone in town is haunted by one ghost or another. These ghosts are dangerous, in some cases permanently damaging or changing people. Jane’s ghost is a young girl who consumes the secrets of those around her, telling Jane what she learns. Her brother, Henry, is forced to build bizarre contraptions by his ghost, contraptions that can be dangerous. And her mother’s ghost causes her to burn anyone who comes into contact with her. Swine Hill has never been strong economically, but when the last factory is taken over by newcomers, both the human and the ghostly residents push back against the change. Jane knows that the town is destructive, and the only way for her and her family to survive is to escape. 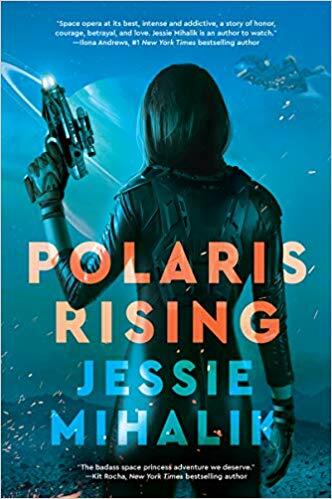 Jessie Mihalik’s Polaris Rising promises to be space opera at its purest, launching a sci-fi trilogy of space royalty, fugitives, and adventure. Ada is a princess on the run from an arranged marriage that would have meant the end of her freedom. She fled just before the ceremony, and she’s been evading her father’s attempts at capture for two years. When she is finally caught, she is put in the same prison cell as the alleged murderer Marcus Loch, also known as the Devil of Fornax Zero. The Royal Consortium, the empire that rules the known universe, is preparing to kill him, shipping Loch and Ada to Earth. After their ship comes under attack from the House of Ada’s would-be fiancee, she is forced to ally with Loch, who is as dangerous as he is charming. Update 2/28/19: Luckily, it looks like Polaris Rising IS living up to the hype, with it holding an impressive 4.2 out of 5.0 rating on Goodreads at the time of writing this update. The first book in Lyons’ A Chorus of Dragons series launches an epic fantasy tale of the likes of The Name of the Wind and A Song of Ice and Fire. Kihrin is a man broken and imprisoned, with nothing to do to pass the time but tell his tale to his keeper. A rough childhood as a thief in the slums of Quur has given Kihrin a unique set of skills—skills that become useful when he is recognized as missing prince of a major house of Quur and is imprisoned in a palace full of scheming nobles. When Kihrin learns that the stone around his neck is a powerful device that will protect the wearer, he begins to understand his place in the plans of other far more powerful players in a game that is bigger than he can imagine. The Ruin of Kings is one to watch and is shaping up to be one of the biggest releases of 2019. 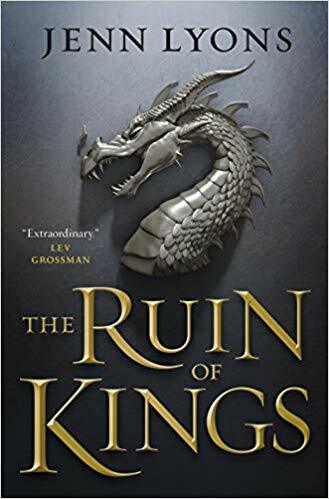 Update 2/28/19: We really tried to get into The Ruin of Kings, as it was one of the most promising new fantasy books of 2019. Unfortunately, we found it to be quite convoluted and, therefore, tough to get through. Neuvel, known for The Themis Files, returns with a near-future dystopian Britain. To gain British citizenship, individuals must pass the 25-question citizenship exam. When Idir takes the test, something unexpected happens—he is handed power over the lives of others. We don’t know much more than this Black-Mirror-esque premise, but Neuvel is bound to impress as always. The first novel in this sci-fi graphic novel duology features a time-traveling samurai—naturally, a Samurai Jack comparison is unavoidable, so here it is: Chronin is a backward Samurai Jack in which the samurai has been sent from the near future of 2042 to 1864. More specifically, Mirai Yoshida was a college student working on a project in New York City that sent her to Japan in 1864. With her time machine missing, she does the most reasonable thing and disguises herself as a samurai. Her journey back to the present is made more difficult by her knowledge that the shogunate is about to collapse, forcing her to take on a new way of life to protect herself and her newfound friends. 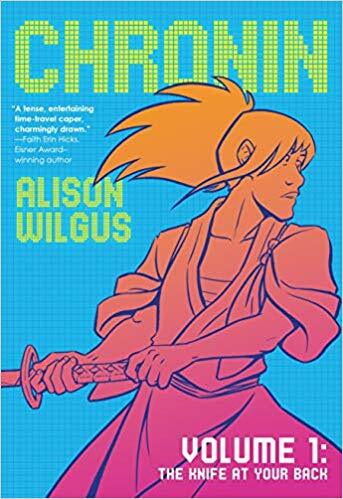 Alison Wilgus’s graphic novel debut sounds like an unusual take on time travel that will explore shogunate Japan from a different perspective. 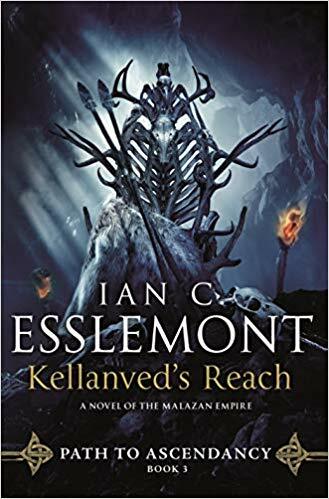 This entry into the Malazan world, co-created by Stephen Eriksen and Ian C. Esslemont, wraps up Esslemont’s Path to Ascendancy trilogy, which serves as a prequel to the Malazan Empire series. The cities of Quon Tali are at war, while a mage of Dal Hon is quietly conquering the southern seas. Meanwhile, Kellanved and his friend Dancer are traveling a perilous world in search of the legendary Army of Dust and Bone. This entry into the Malazan canon is bound to please fans of this massive universe and its beloved gods and mages. 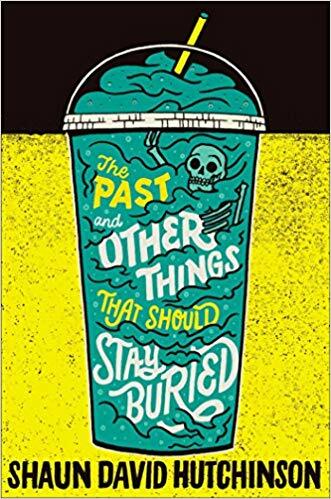 Described by the publisher as “Six Feet Under meets Pushing Daisies,” Hutchinson mixes reality with the supernatural this strange tale of friendship. Dino has always been surrounded by death, thanks to his parent’s funeral home. But when Dino’s former best friend July dies and is returned to something sort of like life, he begins to look at death in a new way. July and Dino try to understand July’s strange return, all while putting together the puzzle of their ended friendship. This quirky story of death and friendship promises to be fun, charming, and fairly morbid. Hugo winner Ann Leckie makes her fantasy debut with The Raven Tower, a tale of men and meddling gods. Raven has looked after the land of Iraden for hundreds of years. The Raven’s Lease is the human sacrifice and leader chosen by the god himself to look after the land and provide blood to the god. When the throne is taken over by another, the Raven grows frail and invaders vie to break down the borders of Iraden. Eolo is a warrior who serves the original Raven’s Lease and aims to help him return to power. When Eolo investigates the Raven’s Tower, he uncovers secrets that threaten to permanently destroy Iraden. 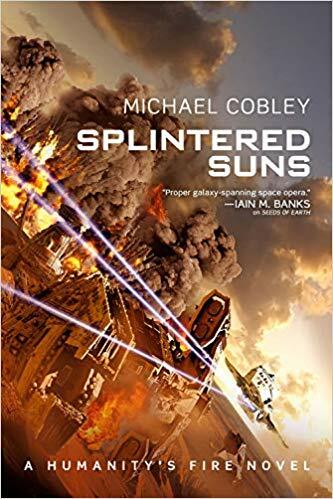 The latest installment in Michael Cobley’s Humanity’s Fire series is a standalone that combines genres and promises to invert expectations. Pyke and his team, tasked with what appeared to be a simple heist, expect to break into a museum on a desert planet to find a tracking device that will locate a long-lost ship on the planet’s surface. They have competition, however—a nemesis of Pyke’s, Raven Kaligara. On top of that, the museum has concealed the tracking device in a bio-engineered vault, and the ship in question is massive, ancient, and quite possibly holding the key to the secrets of an ancient civilization. The stakes are high in this story of a heist gone wrong in a brilliantly imagined space-opera setting. 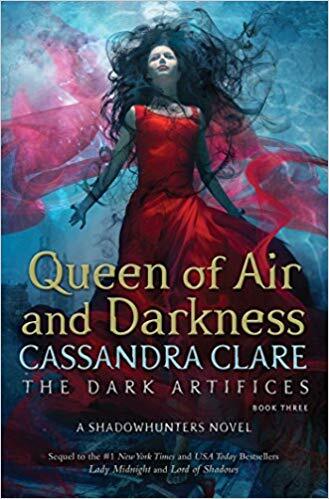 Cassandra Clare returns to urban fantasy with the final installment in The Dark Artifices trilogy, which pits the Shadowhunter Emma Carstairs against her greatest challenges yet. The world of the Shadowhunters is in more danger than ever before, and it may be due to the forbidden love of Emma and Julian. Warlocks are plagued by a mysterious disease, and several members of the Blackthorn family are headed to Los Angeles to discover its cause. Emma and Julian must go to Faerie to find the Black Volume of the Dead—but a dark secret awaits them in the Court that may change the future of the Shadowhunters forever. However, they’re racing against the power of their magical bond—the parabatai—which threatens to punish them for their love and destroy them before they have a chance to save the world of the Shadowhunters. 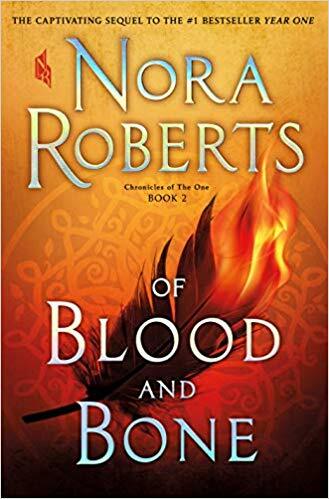 Nora Roberts continues her post-apocalyptic-meets-urban-fantasy series Chronicles of the One series with Of Blood and Bone, which picks up several years after the first volume. The world has had a few years to adjust to the changes brought on by the Doom, a sickness that wiped out much of humanity and brought civilization to its knees. People are building new lives and new families. Magick has taken the place of technology, and those who wield it hold an edge in surviving in this new, violent world. Fallon doesn’t remember the world before, the world that her parents watched crumble. She is fortunate enough to be gifted, but as she approaches thirteen, she is about to learn that she is The One. She is in danger because of her gift, and she must learn to heal, fight, and control her power from the ancient Mallick. 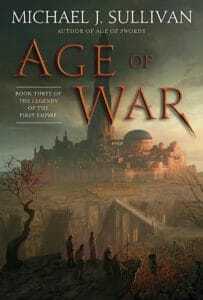 This coming-of-age story continues Robert’s epic series that blends sci-fi and fantasy in a world turned upside down. 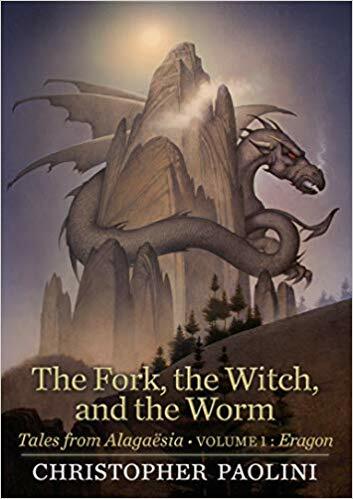 It’s been a long time since we visited Alagaësia, but Christopher Paolini is returning with this story collection that follows Eragon’s adventures after the events of Inheritance. Eragon has been searching for the ideal location to train the next generation of dragon riders for a year. This is no easy task. He’ll have to create a new dragonhold, protect dragon eggs, and deal with those who would impede his efforts. With original art by the author and a look at the upcoming memoir of Angela the herbalist, written by Angela Paolini, this is a book that fans of the Inheritance Cycle won’t want to miss. This definitely won’t be the last we see of Alagaësia. The sorceress Nicci is up against a challenge that will test her wits and her powers as an ancient threat draws nearer to the protected city of Ildakar. 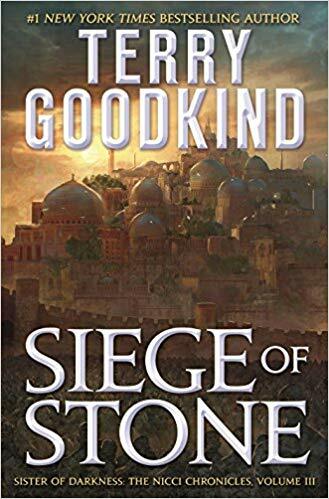 Set in the same world as his Sword of Truth series, Terry Goodkind pairs Nicci with the wizard Nathan Rahl and Bannon the swordsman for the third installment in this new series. After a revolution that freed the slaves of Ildakar and overthrew the Wizard Council, the ancient army of General Utros, once petrified fifteen centuries prior, is on the move again. Wizard Commander Maxim has removed the spell that turned the massive army into stone, and the city of Ildakar is once again under siege. The Old World and the land of D’Hara are in danger, and Nicci is the only one who stands a chance at stopping a powerful ancient adversary. 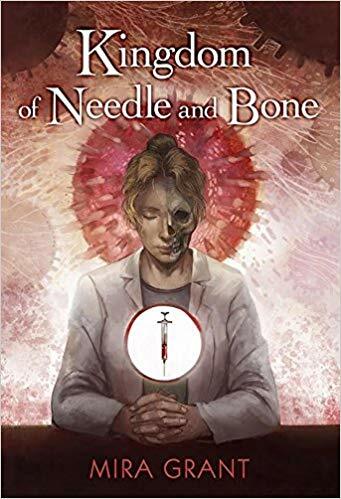 Mira Grant (also known as Seanan McGuire) explores moral dilemmas in an effort to save humanity from a deadly disease in this novella, illustrated by Julie Dillon. Modern medicine has led humanity to view disease as a thing from history books. Vaccinations and antibiotics have succeeded in preventing widespread disease and have led to longevity, quality of life, and prosperity. But this is an illusion, and it is shattered when Morris’s disease begins wiping people out by the millions. Dr. Isabella Gauley has a connection with the disease’s origin—her niece was the first to fall ill.
With more people dying every day, the solution is one that many would find abhorrent. Isabella knows what has to be done, and she knows how she will be judged. What if criminals could be corrected not through imprisonment but through neurological tampering? This is the question asked in The Subjugate, in which a series of murders have occurred in a deeply religious town filled with Serenes—criminals whose minds have been altered to make them calm and passive. Salvi Brentt and Mitch Grenville are two detectives on the case, and the list of suspects is long in this dark town. 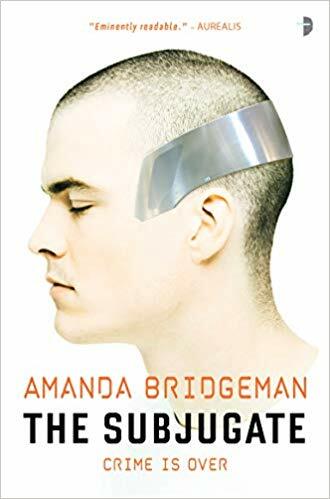 Bridgeman’s morally complex premise is intriguing, showing a lot of promise for this low-sci-fi mystery. 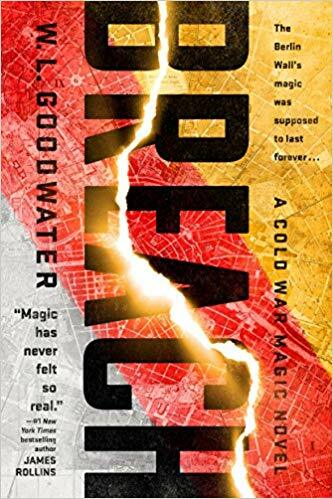 W. L. Goodwater’s debut novel launches a series imagining an alternate Cold War history in which the Berlin wall is made of arcane magic created by the Soviets. Ten years after the wall’s creation, it is failing. Chaos has been held at bay, and years of espionage may soon turn into something more magical. While the East and West are poised in Berlin, a magician named Karen is sent by the American Office of Magical Research and Development to study the wall and possibly repair it. This task is more difficult than expected, and tensions are high as an isolated city in the middle of a global conflict. Goodwater’s magical alternate history premise is a bold one that aims to take a unique look at a fascinating part of the Cold War. Jane Yolen follows up her acclaimed 2017 collection The Emerald Circus with another retelling of classic stories through a new lens. In this story collection, Yolen promises to once again break down familiar tales. She’ll explore straw spinners under scrutiny from the law, bridges that are lonely without trolls, and more. These stories are accompanied by a poem and a note by the author further exploring these refurbished and reimagined tales. 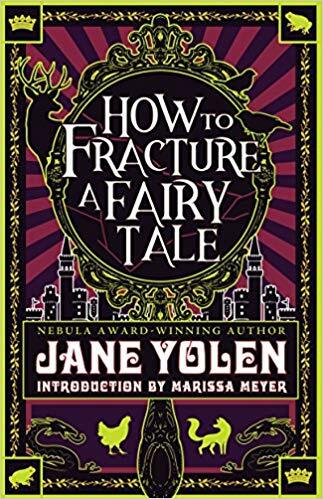 Yolen has long been a major voice in children’s literature, and this story collection offers a chance to meld fairy tales with fantasy with the same brilliance of The Emerald Circus. The latest from the writing machine known as Brandon Sanderson is the first in a new YA sci-fi series. Skyward introduces Spensa, a young woman born in a world under constant attack. She longs to become a pilot, but going to flight school may not be easy—her father was killed shortly after abandoning his mission. Nonetheless, Spensa is determined to achieve her dream and defend the home that she loves. There isn’t much of the human race left, but the fight is continuing. When Spensa makes a discovery in a strange cave, her luck may be due for a change. 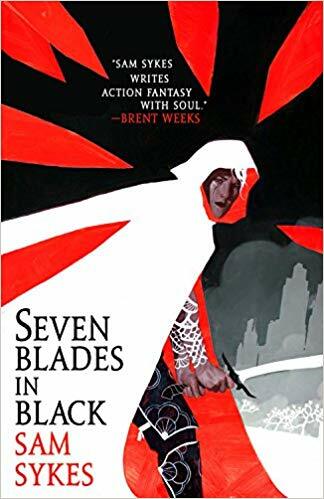 This is a non-Cosmere book from Sanderson, but that doesn’t mean it won’t be epic. Sci-fi is not his normal genre, but this only makes this new series more intriguing. The best part about Skyward? According to Sanderson’s website, he’s already finished the first draft of book 2. 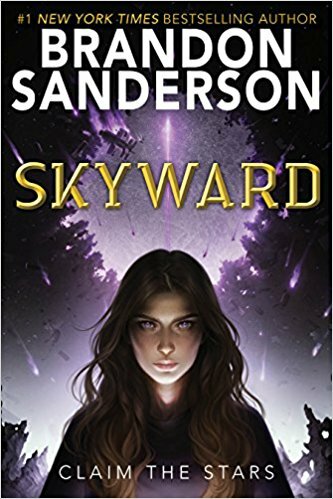 Sanderson has been releasing the first several chapters of Skyward on his Instagram page. When an author is advertising the release of their book with the book itself, you know it’s going to be good. 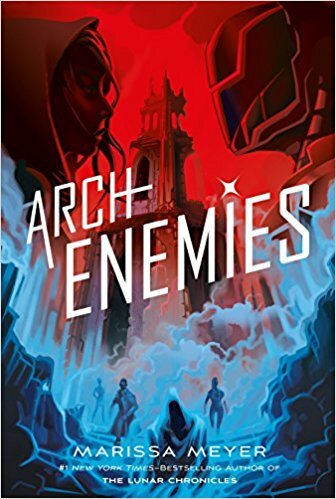 Marissa Meyer’s Archenemies is the second book in the Renegades trilogy, continuing the complicated story of Nova, a young woman with dangerous powers who is bent on revenge against the renegades. She is living a double life. Some know her as “Insomnia”, a member of the heroic Renegades who patrol and protect Gatlon City. She works alongside a Renegade named Adrian (or “Sketch”), and their confusing feelings for each other are making Nova question herself and her mission. As “Nightmare,” Nova works for what she truly believes in—destroying the Renegades who have wronged her. Morality is complicated in Gatlon City, and being a hero is no simple task. Meyer succeeded in bringing superheroes to the format of fiction in Renegades, and there’s no doubt she can pull it off again in Archenemies. 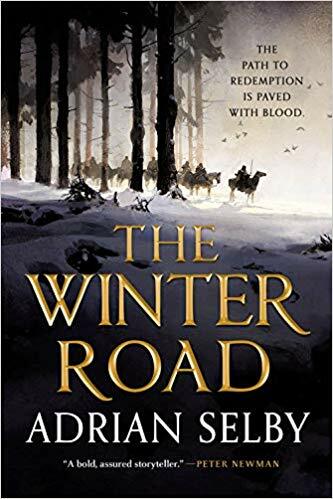 Following his 2016 debut, Snakewood, Adrian Selby returns with The Winter Road, a grimdark story of the taming of a dangerous place. The Circle is a massive region of warfare and wilderness, currently under the control of a rising warlord and a deadly clan. The people of the Circle are helpless against the brutal hordes. To Teyr Amondsen, a former soldier, the Circle is the place she once called home. She has returned, along with a team of mercenaries, to build a road that crosses the Circle and conquers its dangers and its oppressors. This premise sounds like it will lend well to Selby’s intense and brutal style, once again promising to put readers in a world of bloody battles and hard choices. 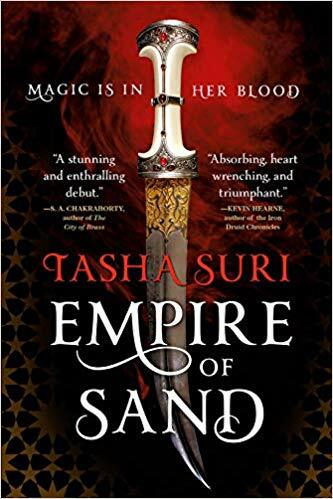 Another promising debut for November—Tasha Suri brings bits of Mughal India to a new and fresh fantasy setting in Empire of Sand. 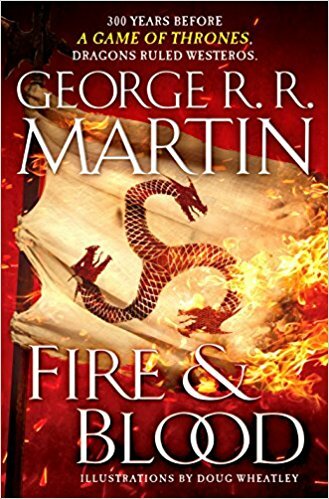 In the first of a two-book history of the Targaryens (named Fire & Blood), Martin offers a thorough look at Westeros throughout some of its most interesting periods. Including over 80 illustrations by Doug Wheatley, this dazzling book might not complete any A Song of Ice and Fire fans’ collections, but it will certainly look nice on the shelf. Fire & Blood opens with the creation of the Iron Throne and follows the Targaryens who strove to hold it. Readers will get a look at a Westeros in the time of dragons, and many of the most fascinating parts of the Targaryens’ story will be explored in never-before-seen content. N. K. Jemisin broke a record when she won the Hugo award for the third consecutive year in 2018, earning her one win for “Best Novel” for each of her Broken Earth trilogy books. She is one of the most prominent and experimental voices in fantasy, and she’s clearly not going anywhere. If you’ve never read Jemisin before, this may be a great place to start. October brings a healthy mix of sci-fi and fantasy, featuring some classic authors and some modern-day pioneers. If you’re in the mood for grand space operas or kingdoms at war, this just might be your month. Ursula K. Le Guin’s Earthsea Cycle gets a gorgeous illustrated edition with artwork by Charles Vess, and Terry Brooks explores a new genre with his sci-fi adventure, Street Freaks. And Steven Erikson has an interesting take on humanity’s first contact with aliens and how this event might change the planet. 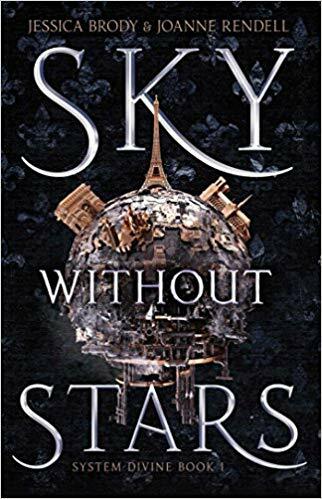 The bestselling YA fantasy series Throne of Glass concludes with Kingdom of Ash by Sarah J. Maas, and Saga gets its ninth volume of star-hopping action. 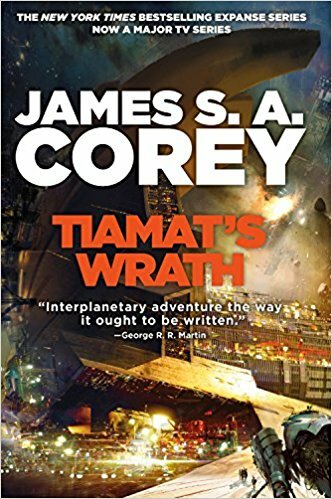 And we finally have the follow up to Seth Dickinson’s The Traitor Baru Cormorant. It’s a sequel-heavy month without a doubt, but that just means you should catch up on these series if you haven’t already. Better known for his epic fantasy like The Sword of Shannara, Terry Brooks is venturing into sci-fi with this futuristic thriller. Ashton Collins has a mysterious video message from his father. “Go into the Red Zone. Go to Street Freaks.” The Red Zone is at the center of sprawling Los Angeles—it’s a place he has never been permitted to go to before. If he finds Street Freaks, Ash may answer questions about who his father was, and maybe learn a bit about himself in the process. 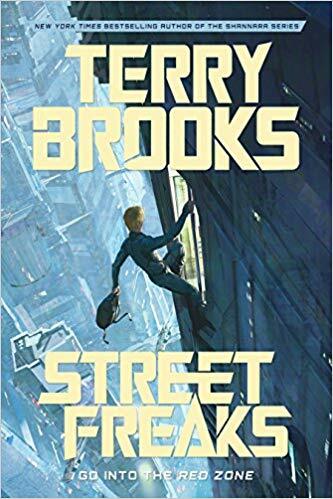 Street Freaks promises a dark and plausible future of megacities and omnipotent corporations, with one of the masters of fantasy behind the wheel. 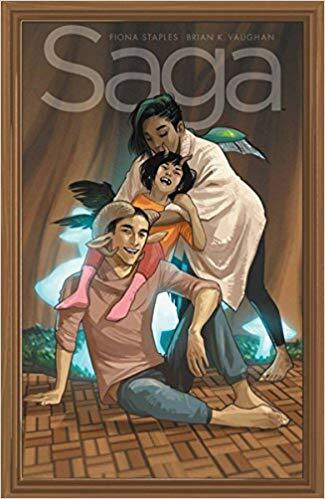 The universe’s most unusual and stressed-out family continues their search for solace in the ninth volume of Saga. This star-hopping space opera follows parents Marko and Alana, a bi-species couple that a galaxy at war won’t leave alone. With them is their daughter, Hazel, who narrates the comics as the family tries to hold everything together and scrape by, all while avoiding assassins, slavers, and dangerous creatures. If you’re new to the series, there’s plenty of story to catch up on, but with Staples’s cinematic artwork and Vaughan’s imaginative writing, it won’t take you long to get up to speed. 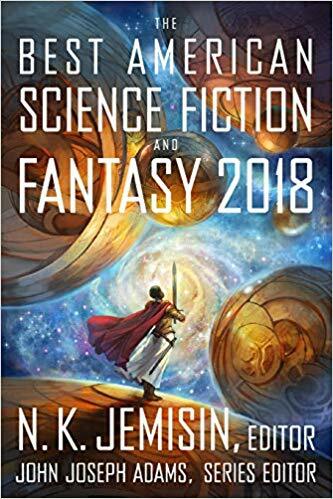 N. K. Jemisin, who recently became the first author to win the Hugo Award three consecutive years, is the guest editor of this year’s collection of notable works from American pioneers of the genre. Jemisin is bound to bring her craving for the unusual and the experimental in this year’s collection. If you enjoy short fiction or just want to keep a finger on the pulse of SF/F, this collection is a must-have. 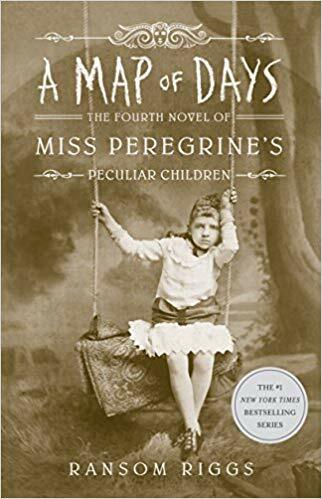 Ransom Riggs continues his best-selling series of mysterious gifted children with A Map of Days. Laini Taylor’s follow-up to the bestselling Strange the Dreamer revisits Lazlo and Sarai after the events that changed their lives and their relationship irreversibly. Lazlo Strange is wrestling with his recently discovered abilities, and Sarai, after a deal with the revenge-bent GodSpawn Minya, is a ghost. This has complicated their lives a bit. Minya has vowed to destroy the lost city of Weep, and Lazlo must decide between saving the city or Sarai. And while Sarai feels useless in her new form, she has only begun to discover who she really is. This sequel promises to once again push characters to new limits to discover themselves and further unravel the mysteries of a world once filled with gods. Hugo Award winner and sci-fi master John Scalzi is quickly following up his 2017 The Collapsing Empire with another sweeping space opera. The second book in the Interdependency series begins with an empire on the brink of disaster. The Flow, the technology that allows for rapid travel through space, is falling apart, rendering parts of the galaxy splintered and fragile. If the Flow vanishes completely, civilization will struggle to survive. With civil war drawing near and all aspects of society in a fractious state, Emprox Grayland II must quash the theories that the Flow’s collapse is a myth while gathering her allies to oppose rising political dissidents. 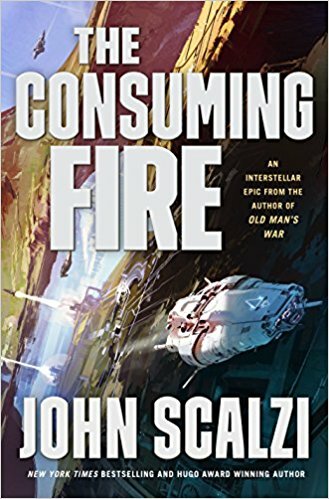 The scope of The Consuming Fire is ambitious but ambitious is what Scalzi does best. Steven Erikson, best known for his Malazan Book of the Fallen high fantasy series, ventures into the unknown with this unusual first contact story. The Intervention begins when sci-fi writer Samantha August vanishes in a ray of light. She is transported to a ship in orbit above Earth, where she learns about the Intervention Delegation, an alien committee that seeks to preserve earth as a viable habitat. The result is a new Earth in which crime, war, and aggression are rendered impossible. 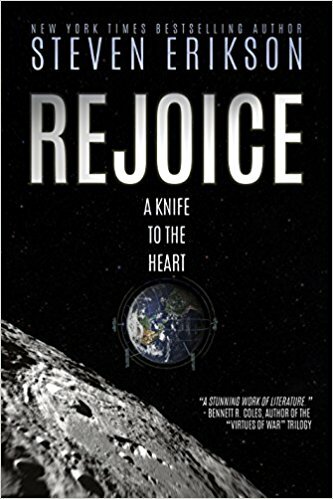 Erikson’s limitless imagination and empathetic storytelling are bound to make Rejoice, A Knife to the Heart a memorable and thought-provoking sci-fi tale. In what is bound to be one of 2018’s biggest YA releases, Sarah J. 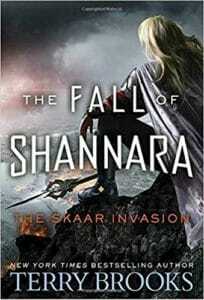 Mass concludes her high fantasy series Throne of Glass with this high-stakes finale. 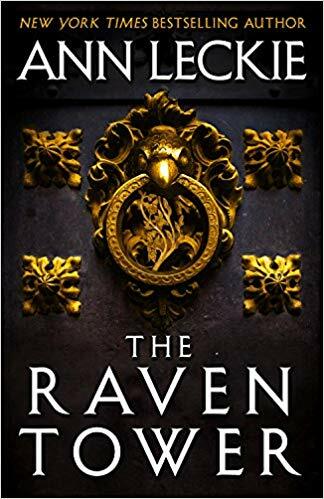 After doing everything within her power to save her people, Aelin Galathynius is faced with yet another trial as she is tortured by the Queen of the Fae while trapped in an iron coffin for months. Meanwhile, Aedion and Lysandra are the only ones left to protect Terrasen from Erawan’s armies. Rowan is doing everything he can to find and rescue Aelin before it’s too late. The world is on the precipice of disaster before a final fight for freedom. 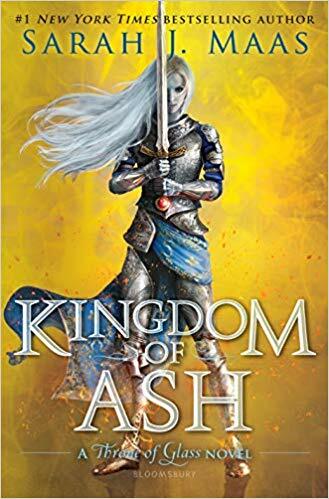 These characters have come far from their roots in the beginning of the series, and Kingdom of Ash promises to cement their fates, for better or worse, in a thrilling conclusion. 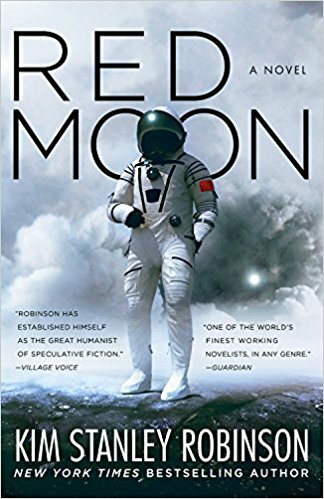 Kim Stanley Robinson, best known for his Mars trilogy, takes a smaller leap into the future than he’s accustomed to in Red Moon. Thirty years from the present day, the moon has been colonized, and Fred Fredericks is making his first visit to put in a communications system. Shortly after he lands, he witnesses a murder and must do what he can to protect himself without drawing undue attention. Ta Shu, a reporter, is also on his first visit—and it doesn’t take him long to learn that the moon harbors dangers for anyone. Chan Qi, daughter of the Minister of Finance, attempts to leave the moon and return to China, but there are much larger events in motion on a small rock burdened with economic and political significance. 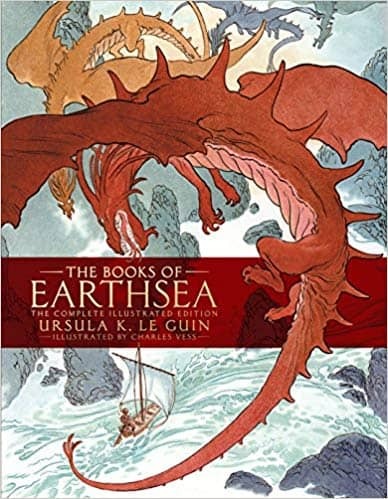 A new hardcover collection of Ursula K. Le Guin’s classic Earthsea Cycle gathers all of her Earthsea works in one tome for the first time. Charles Vess, known for his imaginative style and intricate details, brings over 50 illustrations that will capture Le Guin’s vision in a new way. The Earthsea books and stories remain one of fantasy’s most empathetic and powerful; this is the ultimate Earthsea collection. 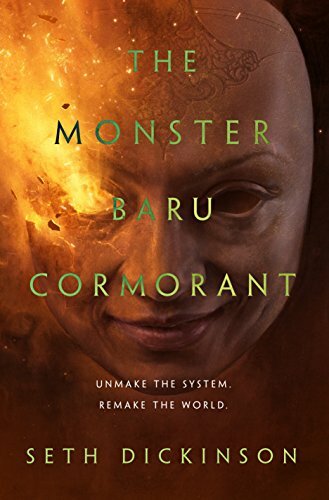 The sequel to the outstanding The Traitor Baru Cormorant is finally here. Seth Dickinson’s debut novel follows Baru Cormorant, a young woman whose people have nearly been destroyed by the Empire of Masks. Rich in intrigue and worldbuilding, this powerful novel stands well on its own, but the sequel is more than welcome. Baru Cormorant is a lord in the empire she despises. Her best hope of destroying it is by remaining on the inside, leading her foes to doom, and hopefully sparking all-out war. But her mind is racked by a wound that muddies her own thoughts and beliefs. She has a chance to destroy the Masquerade, but only if she can figure out who she is. 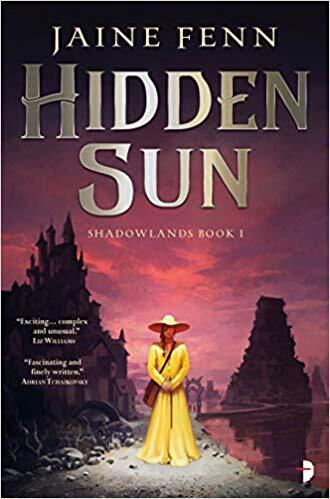 British science fiction writer Jaine Fenn introduces her Shadowlands duology with Hidden Sun, a mystery set in a strange world of light and darkness. The many shadowlands divide the light of the skyland. The shadowland of Shen is home to Rhia Harlyn, a noble with an unladylike interest in science and a brother gone missing. A strange murder case remains open, and due to its suspicious timing, Rhia partners with the search team en route to the mysterious skylands. There, she will meet powerful and complicated characters as she searches for her brother—or learns the truth of his fate. 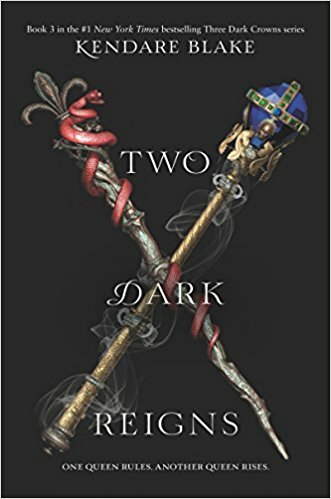 With one of this year’s biggest YA releases, Kendare Blake continues her Three Dark Crowns series with Two Dark Reigns, the penultimate book in the quartet. Now that Queen Katharine finally has the crown she has wanted for so long, things are getting complicated. Her rule isn’t as firm as it could be—her sisters may not actually be dead, and a strange specter has appeared on the mainland and may be the legendary Blue Queen with an ominous message. Meanwhile, the powerful naturalist Jules is gathering a rebel force to challenge Katharine’s rule. And the Blue Queen may be behind this development. Return to Fennbirn with this story of a kingdom in chaos as threats approach from every direction. 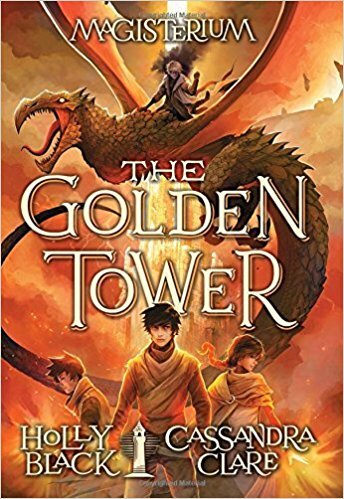 Two of YA fantasy’s biggest authors, Cassandra Clare and Holly Black, are finishing their epic Magisterium series with The Golden Tower. The ancient mage Constantine Madden achieved immortality by living inside the young Callum Hunt. Callum has been through a lot, from studying magic in Magisterium for four years to conquering the armies of chaos. Now, at the end of his training, Callum is closer than ever to vanquishing evil. But it will take everything he’s learned to take on this foe. Hopefully Clare and Black can bring this high-stakes series to a solid close. Shawna Keys’s world is perfect. She has everything she could want, between her pottery studio and her incredible partner. Her perfect world is ruined in a single day when her best friend is killed—and no one can remember that her friend ever existed except for Shawna and a stranger who claims to have answers. Shawna’s world was as ideal as it was because someone designed it. It was a Shaped world, created to be without flaws. In the Labyrinth of Shaped worlds, someone is destroying them one by one. 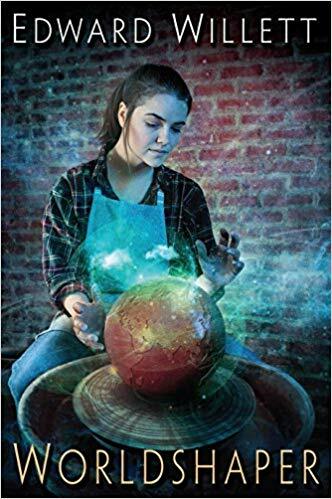 Shawna’s world is already lost, but there are countless other worlds that can still be saved if she acts quickly and seeks the Lady in the center of the Labyrinth. Edward Willett is known for his fantastic worlds—and in this new series with literal worldbuilding as its premise, we’ll see more of his worlds than ever before. 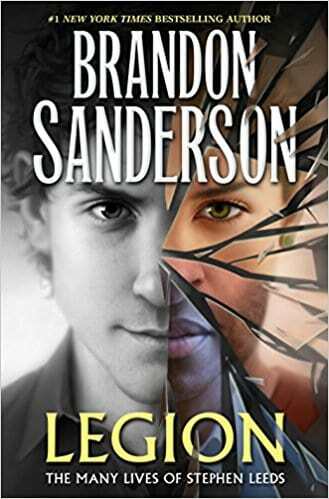 Brandon Sanderson’s Legion novellas are collected in one place for the first time in Legion: The Many Lives of Stephen Leeds. Included is Lies of the Beholder, the latest and final installment. Though he’s best known for his Cosmere fantasy series like Mistborn and The Stormlight Archive, Sanderson has proven himself a versatile and talented storyteller. Legion is yet another example of his skills in characters and innovation. Stephen Leeds is an unparalleled genius, but he’s also accompanied by several hallucinatory personalities. Each hallucination manifests as an expert in a particular field, lending advice to Stephen as he combats terrorist organizations and tries to understand his strange condition. For longtime fans of Legion and newcomers to the series, this is bound to be a great c0llection with one of Sanderon’s classic explosive finales. 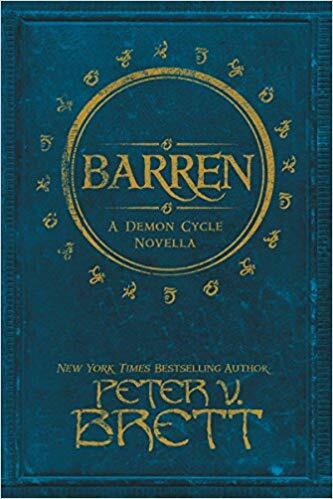 Peter V. Brett revisits his Demon Cycle series with this prequel novella, following Selia Square, also known as Barren. Demons have long threatened a humanity with no way to fight, until the rediscovery of combat wards. In Tibbet’s Brook, old rivalries and clans pose another threat. Selia does what she can to maintain order in Tibbet’s Brook, but when a mind demon threatens her people, it’s not easy to unite everyone against a common foe. Selia’s history in the community is complicated, and only by understanding her own past can she do what she must to save her people. This prequel story gives fans of the Demon Cycle series another glimpse of this beloved fantasy world. In the long-awaited sequel to Vicious, Schwab takes a different turn with the story by introducing a new protagonist: Marcella Riggins. There’s a new and powerful force in the city of Merit, and she’s doing everything she can to conquer the city. Marcella is a loner, but she intends to use the rivalry of Victor Vale and Eli Ever as fuel for her schemes. Combine this with her ability to turn people into ash, and it’s clear that a new force is on the rise. 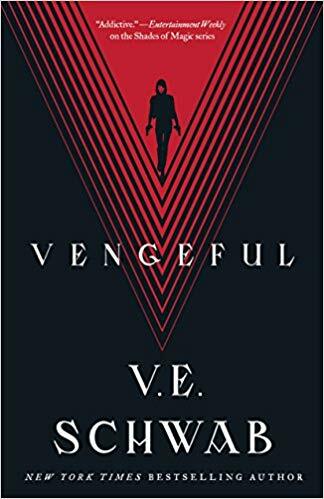 Schwab has a lot of books in the works, but Vengeful is easily her biggest upcoming title. The third book in the bestselling DC Icons series comes from Sarah J. Maas, the author behind the massively popular Throne of Glass series. Selina Kyle is a slum dweller turned wealthy, now undercover as Holly Vanderhees in a Gotham City without Batman. After teaming up with Poison Ivy and Harley Quinn, she becomes an infamous thief who catches the attention of Batwing, also known as Luke Fox. Selina comes to know Luke Fox as her neighbor while eluding Batwing at night, all while she strives to pull off a major heist. A standalone from Alan Dean Foster envisions a post-human universe, save one man: Ruslan. Humanity’s reach was vast, spanning many stars, but biological warfare ultimately put an end to human civilization. Ruslan is alone and aimless after being rescued from his home planet by the alien race known as the Myssari. After spending his days as a sightseeing attraction for the aliens, they offer him a chance to go on a great mission: find humanity’s home planet, Earth. If it really exists. This hope-filled space journey sounds like it could offer an unusual look at humanity in a dark and distant galaxy. Alternate-Civil-War-era Louisiana brings orisha, airships, and super weapons to an America both alien and familiar. 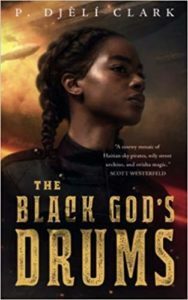 Creeper has valuable information about a weapon referred to as the Black God’s Drums by a Haitian scientist—she hopes this intel will be enough to get her aboard the airship the Midnight Robber. 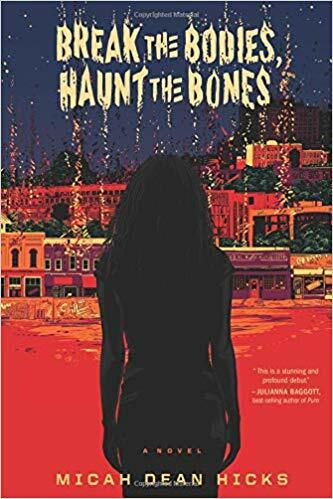 Things get out of hand quickly once Creeper finds her way onto the Midnight Robber, and she and the crew find themselves on a mission to stop the Black God’s Drums from completely destroying New Orleans. On top of all this, Creeper hears the voice of Oya, orisha of wind and storms, in her mind. There’s a lot packed into this novella from a great new voice in sci-fi. Robert Jackson Bennett, author of City of Stairs, is embarking on a dark and deeply new magical trilogy with Foundryside. tasked with stealing something more important than she could imagine. The capitalist city of Tevanne is wired and fueled by magic. Sentient objects, created by wealthy Merchant Houses, are ubiquitous. If the Merchant Houses came into possession of the very object Sancia steals, they could potentially change the rules of reality for the worse. It doesn’t take long for Sancia to become a target, and if she wants to survive, she won’t be able to emerge unchanged. Jackson has proven his ability to create a great story within the confines of one magical city before—and hopefully he can create something just as uniquely mysterious in Foundryside. 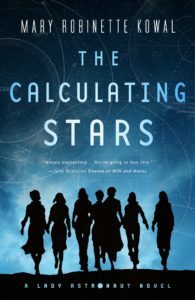 Just this July we saw the release of The Calculating Stars, Mary Robinette Kowal’s first Lady Astronaut book. The sequel is coming out a month later in August. The Fated Sky continues the story of Elma York—now a famous Lady Astonaut—and her ambitions to be a part of humankind’s journey to Mars. This alternate history series imagines an Earth in the mid 20th century, shortly after an asteroid destroyed parts of the U. S. and turned the planet into an increasingly inhospitable place for humans. The only option is to look to the stars out not just curiosity but necessity and survival. Elma would love to be chosen by the Aerospace Coalition to be on the mission to Mars. But she would have to put her hopes of starting a family on hold, and with the Civil Rights movement taking flight, there are questions about how everyone will treat each other when they colonize Mars. Kowal’s award-winning story, “Lady Astronaut of Mars,” created a bold vision of a very different past; hopefully The Fated Sky isn’t the last we see of Elma York. 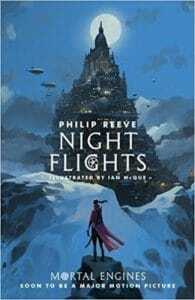 With the Peter-Jackson-produced film adaptation of Philip Reeve’s Mortal Engines due in December, the release of Night Flights has great timing. This illustrated book is a collection of stories following Anna Fang, an aviatrix in a war-torn world where mobile “traction” cities hunt each other down. After Anna’s home city was eaten (as these mobile cities tend to do to one another) by the predator city of Arkhangel, she was enslaved and sent to work in its deep gut. But she is tenacious and cunning, and freedom is within view. Anna Fang is one of the most beloved and complicated characters from the world of Mortal Engines, and the three stories in this collection offer to answer some questions about the woman who will become a powerful leader and dangerous terrorist. Ian McQue’s stellar cover art and illustrations bring flavor to an already brilliant world. Jeff Wheeler’s rapid fire The Harbinger series is getting its second installment in August, with a third book due in November. Mirror Gate picks up from the first book with Princess Sera Fitzempress continuing her struggle to master magic, known as the Mysteries. Her success is crucial; with the emperor dead, she will need to be cunning and powerful to outmaneuver the one other person eyeing the throne: her father. Mastering the Mysteries isn’t easy. Learning this powerful magic isn’t easy, and it’s usually reserved for those with money and proper training. But for Cettie, a waif from the earthbound people below the sky manors, this magic comes naturally. This power brings great opportunity, as well as great enemies. Only by working together can Cettie and Sera navigate two sides of a society on the brink of war. This standalone fantasy is set in the same world as Nicholas Eames’ rowdy and hilarious Kings of the Wyld from 2017. In a world where mercenaries are essentially rock stars, Tam Ashford is a bartender at the local pub who is tired of listening to other people’s stories of adventure. When the world’s most renowned mercenary band gives Tam the chance to escape, she seizes it, leaving behind her humdrum life for one of danger, adventure, and glory. Eames’s fast-paced and comedic style are an absolute blast. Don’t miss out on another rockin’ adventure from the world of Kings of the Wyld. The latest posthumous release from J.R.R. Tolkien and edited by his son, Christopher Tolkien, is a full-length version of the story previously included in The Silmarillion with illustrations by Alan Lee. This story includes pieces of Tolkien’s earliest known writings on Middle-Earth, which explores the struggle between the great powers of Morgoth and Ulmo. Morgoth is the first Dark Lord of Middle-Earth and has a massive army at his command, while Ulmo controls the seas who helped in the formation of the world. 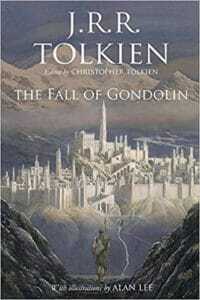 The hidden city of Gondolin is ruled by Turgon King of Gondolin and coveted by Morgoth. Tuor, a man and cousin of Túrin, comes to the city with the aid of Ulmo just before the tragic fall of Gondolin. For Tolkien collectors, Lee’s artwork and Christopher Tolkien’s skill full research and editing make this a must-have that will look great on the shelf. In a new alternate history series, S. M. Stirling explores America under Theodore Roosevelt, who is president for the second time, during World War I. To prevent the Central Powers from continuing to dominate Africa and Europe, the president calls on Luz O’Malley Aróstegui, a spy in the top secret Black Chamber organization. Luz takes the disguise of a Mexican revolutionary to gain the trust of the German agent Imperial Sword. Her success is vital—the Germans have a new weapon that they plan to unleash on America. The war is at a turning point, and Luz may be in the right place and the right time to prevent catastrophe. 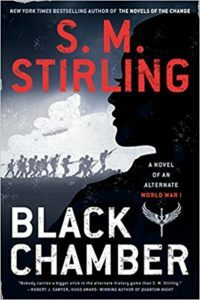 This alternate-history espionage novel offers a chance to view World War I through a new lens—and knowing Stirling, there are bound to be some twists and surprises. Michael J. Sullivan (author of Riyria Revelations) is known for writing a series in its entirety before publishing the first novel, and he’s done it again with his Legends of the First Empire series. This allows him to flesh his ideas out before publishing, and you don’t have to worry about the series going unfinished. His latest series takes place thousands of years before the events of Riyria Revelations. This third installment is due in May, and the next one won’t be far off. 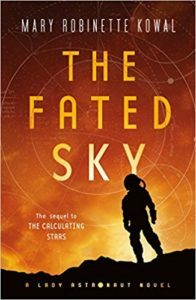 Set in the same world as her Hugo-Award-winning Novella, The Lady Astronaut of Mars, Mary Robinette Kowal invokes the retro style of Ray Bradbury in this historical space sci-fi. 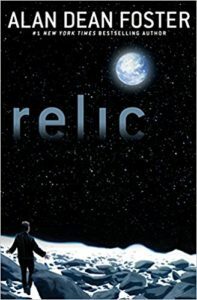 When a meteorite wipes out Washington D.C. in 1952, the U.S. government (for obvious reasons) collapses and Earth becomes a dangerous place to live. The space race takes on a new meaning as humanity desperately tries to find a new home, looking to nearby celestial bodies. Elma York is a mathematician and pilot who wants nothing more than to become the first Lady Astronaut. Societal norms would prefer if she didn’t, but Elma is highly qualified and highly determined. 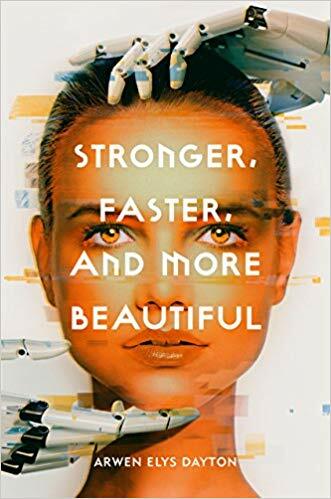 The Lady Astronaut series is a departure for Kowal (known for her Glamourist Histories novels), but her skilled writing and memorable characters are sure to make it an exciting ride. Did I say Lady Astronaut series? Yes, I did — the second novel comes out less than two months later, on August 23. If you want to get a headstart, you can find the award-winning short that inspired the series here. Buy The Calculating Stars here. Neil Gaiman’s Hugo-award-winning short story is getting a graphic novel adaptation with artwork by Rafael Albuquerque. 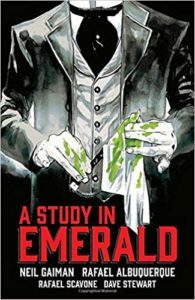 Set in a Cthulhu-mythos- and Sherlock-Holmes-inspired world, the story examines an investigation that becomes increasingly convoluted and grim. Though the story is far from new, this is bound to be a gorgeous edition that will bring new life to one of Gaiman’s most celebrated stories. Naomi Novik (author of Uprooted) brings us another retelling, this time drawing from the tale of Rumpelstiltskin to create a fresh story. Miryem’s father has lent out most of his wealth and his wife’s dowry, and Miyrem takes it upon herself to collect her family’s money. She discovers that she has a knack for this, but her talent draws unwanted attention and soon finds herself in a dangerous predicament. Novik’s Uprooted was wonderfully written and imagined, and I’m sure Spinning Silver will be no different. 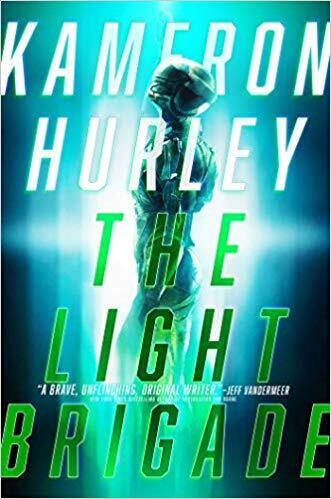 One of Kameron Hurley’s most beloved characters is finally getting a new book. 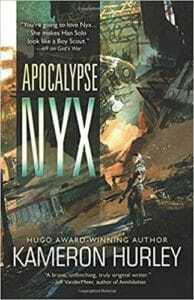 Though most of these five stories have been published before, they can be difficult to track down, and Apocalypse Nyx gathers them in one binding. To say Nyx is tough is an understatement. She’s ruthless, ambitious, and lethal. This is what’s required to survive in a hellish world like hers, though. She’ll face magicians, massive bugs, and deadly environment—whatever it takes to survive and collect a paycheck. 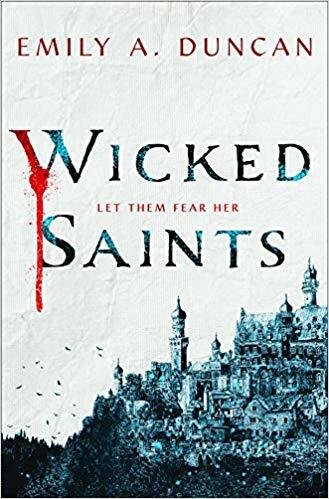 This short story collection is a must have for fans of Hurley’s Bel Dame Apocrypha books. There aren’t many ghost protagonists—Rose Marshall is probably the only one who’s also a hitchhiker. 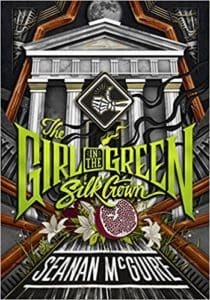 The Girl in the Green Silk Gown picks up from where Sparrow Hill Road left off, following the forever-sixteen ghost of Rose, who was killed by the immortal Bobby Cross almost 70 years ago. Rose’s existence has been spectral for so long that she doesn’t know anything other than wandering from truck stop to truck stop. So when the very man who killed her resurrects her, Rose must find a way back to her old life as a ghost. Unfortunately, the task isn’t as easy as it seems. McGuire’s unconventional American urban legend continues in what is sure to be a grim and ghastly follow-up. Timothy Zahn’s legendary character returns in a sequel to 2017’s Thrawn. 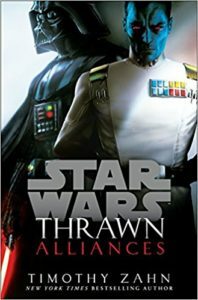 Set during the events of Star Wars Rebels, this new canon story follows the enemies Grand Admiral Thrawn and Darth Vader as they vie for Emperor Palpatine’s approval. A new threat to the empire is growing on Batuu, and Darth Vader and Thrawn must ally to investigate this new danger. This tale of a young Vader and powerful Thrawn explores a new part of the Star Wars story—and suggests that Zahn could have more Thrawn in store for us. Becky Chambers knows how to come up with a book title! Following The Long Way to a Small, Angry Planet and A Closed and Common Orbit, this book takes us back to the Galactic Commons for another standalone novel. The Exodus Fleet is the craft that carried humanity out of our solar system and into the Milky Way. It was the home to many generations, though the original adventurers never made contact with any of the aliens in the galaxy. Their descendants did, however, and some even chose to remain on the vessel that carried humankind away from Earth. 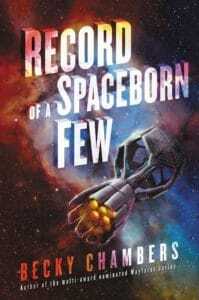 Record of a Spaceborn Few is the story of several individuals who call the Exodus Fleet their home and their reasons for staying, or leaving, the Exodus Fleet. Chambers has created a massive, diverse, and thriving galaxy filled with wonderful characters and stories. Don’t miss out on the next installment in her Wayfarers series. A new Valdemar series is on the way from bestselling author Mercedes Lackey. 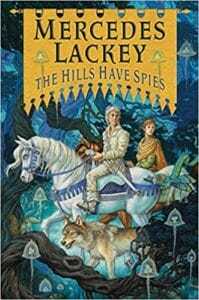 The first book in the Family Spies series is called The Hills Have Spies, and it continues Mags’s and Amily’s stories as they raise their children in a dangerous world. Mags has given his son Justyn the skills he needs to protect himself, and he has decided to send his son on a reconnaissance mission by enlisting him in a troupe of traveling musicians. While Justyn explores a world away from home, he learns dangerous and discomfiting things about a society known as the Hawkbrothers. Unrest is growing among the Hawkbrothers, and there is no easy solution. Justyn will have to act cautiously and tactfully to defuse a dangerous situation. This unfortunately-titled book offers a chance to herald in a new generation of Valdemar, giving us a look at the beginnings of legendary characters. While The Dresden Files fans wait for the next novel in the series, Peace Talks, they can tide themselves over on an anthology of Dresden-based stories. Many of these stories have been previously published, and not all of them feature Harry Dresden as a protagonist. However, the brand new novella Zoo Day makes this collection worth picking up for any fan of The Dresden Files. Zoo Day follows the perspectives of Maggie and Mouse. 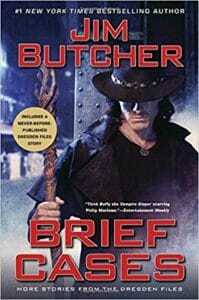 Each story is introduced by Butcher with explanations of the story’s context in the scope of The Dresden files. 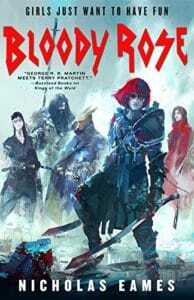 With Peace Talks still out of view, this collection is a welcome addition to Butcher’s urban fantasy saga. The follow up to her debut novel, The Walking Land, features a magical world under new rule. But the sense of peace is short lived as word of an impending invasion led by the Paladisan Emperor. 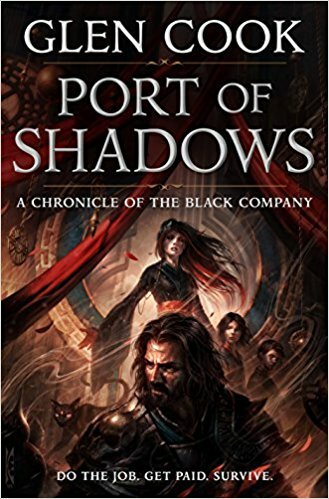 Jahan Korakides must return to Paladis to prevent the incoming war. But with magic banned, he must tread carefully. This ruse is more difficult than he expected, and his former royal allies have abandoned him, leaving him friendless and exposed in a hostile empire. Meanwhile, Elanna Valtai is without magic after exerting herself to protect her homeland. When she is captured and brought to Paladis, Jahan will have to face his past in order to save the woman he loves. 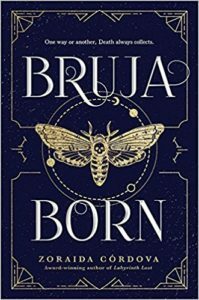 The follow up to Labyrinth Lost introduces a new cast of bruja—extremely powerful witches—in a deeply magical world that resembles ours in some ways but is deeply unusual in others, with its Alice’s-Adventures-in-Wonderland vibe mixed with Latin American cultures. Bruja Born follows Lula, the older sister of Alex, in her struggle to cope with the fatal bus crash that killed all of her classmates, including her boyfriend, Maks. The only way to make things right is to bring Maks and her classmates back from the dead. Fortunately, Lula’s bruja healing powers make this possible—but bending the laws of death has unintended consequences. This sequel returns readers to the imaginative world of Córdova while giving them a plot distinct from the first book in the series. The third book is expected sometime in 2019. 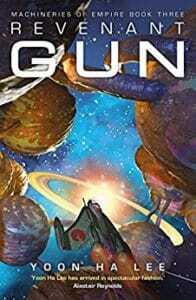 Concluding the space-empire-filled trilogy that began with Ninefox Gambit, Revenant Gun takes place ten years after the events of the second book in the series, and things have gotten complicated. Shuos Jedao thinks he is a 17-year-old cadet, but he is in the body of an older man. Fans of the series might have an idea of why this is the case. Jedao is ordered by Hexarch Nirai Kujen to conquer and reunite the hexarchate by leading an army of Kel soldiers. Needless to say, Jedao does not feel prepared by this. A past that he cannot remember defines his life and how others view him, Jedao is hated by his soldiers for reasons he cannot remember, and a dangerous enemy seems to know more about Jedao than anyone else. 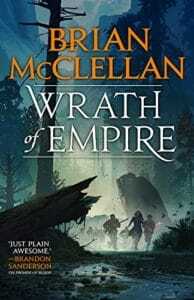 This concluding book takes the Machineries of Empire trilogy in a new direction, but it promises to be filled with twists that will keep fans guessing until the end. The fantasy genre needs more ancient Rome, and Sabaa Tahir’s bestselling An Ember in the Ashes quartet delivers. The third installment in the series brings us back to the Empire, threatened by an inevitable war. While Helene Aquilla and Emperor Marcus desperately try to support a fragile Empire, Laia of Serra is in the East fighting the real threat — the Nightbringer. And Elias Veturius has surrendered his freedom to become Soul Catcher, but this decision may have consequences for all of humanity. 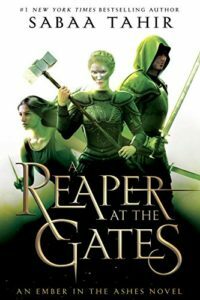 With this stakes higher than ever, A Reaper at the Gates will be an explosive installment in Tahir’s critically acclaimed series. 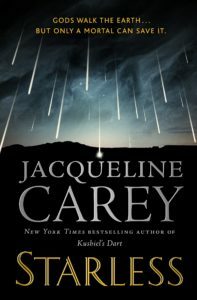 From legendary fantasy author Jacqueline Carey comes a standalone adventure set in a new world. Starless introduces a world of royalty, astronomical events, prophecies, and evil gods. At the center of it is Khai, who is tasked with protecting the princess Zariya, who was born at the exact same moment as Khai. The court of the Sun-Blessed is a menagerie of intrigue and danger, and Khai must act carefully to protect his soul’s twin. With destruction looming, Khai and Zariya must trust unlikely allies before a great evil spreads across the world. The fantasy genre could use more epic standalones. If anyone can pull it off, it’s Jacqueline Carey. The classic epic fantasy series that began in 1977 is one book closer to its end with The Skar Invasion, the second part of the quartet that will conclude Brooks’s Shannara series. War is coming to the Four Lands, and the Druid Order may be witnessing the beginning of the end. Dar Leah knows that their chances are slim without Druid Drisker Arc, who is trapped inside the vanished fortress Paranor. 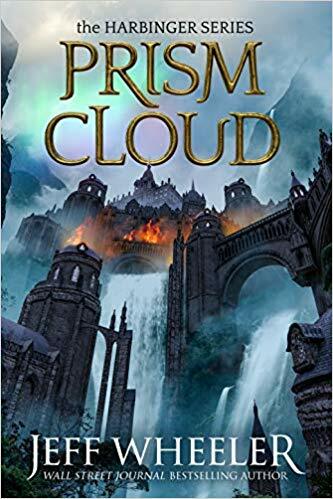 While Drisker tries to free himself, Dar learns that what looked like the invading force of a mysterious magical foe may actually be a small part of a massive army. The trolls have already been conquered—and the druids are next. 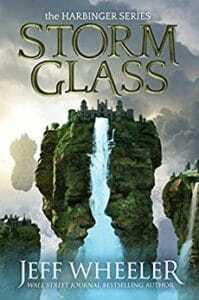 Jeff Wheeler’s new series begins with Storm Glass, introducing a world divided into two classes. The wealthy upper class live in sky manors powered by a magic known as “the Mysteries.” Those who live on the ground are trapped in a society that won’t let them climb into the clouds. Cettie Pratt is lifted from the ground when an admiral adopts her and her life changes completely. But though she now lives in the clouds, things are far from perfect. The admiral’s daughter, Sera Fitzempress, longs to meet the new servant, but her father doesn’t see the need. Both girls are curious about the strange world the other inhabits. Wheeler’s world is hinged on the dichotomy between two drastically different places and classes. 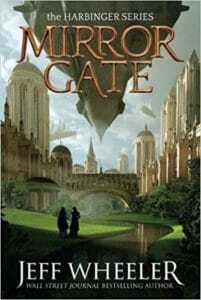 The second book, The Mirror Gate, is due on August, and the third may be out later this year, making this a highly bingeable fantasy series. 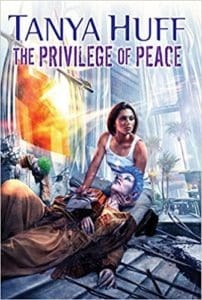 Torin Kerr’s last adventure is captured in the latest from Tanya Huff, The Privilege of Peace. The third book in the Peacekeeper trilogy opens with a retired Kerr who has finally escaped war to a peaceful life. Kerr answers the call to arms one last time, becoming Gunnery Sergeant Kerr once more. The ship Big Yellow has reappeared, and the Silsviss are preparing to launch an attack on the Confederation. Closing the story that began with Huff’s Confederation series and continued with the Peacekeeper trilogy, this last installment says goodbye to one of Huff’s toughest characters. The summer season of publishing is getting started with a fantasy-heavy May. Series debuts and companion novels stand out this month, as well as a lot of epic fantasy and ambitious storytelling. 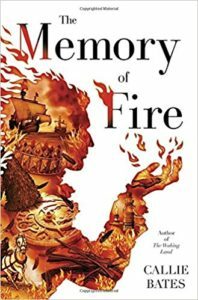 Sylvain Neuvel’s The Themis Files trilogy gets its final installment, and Raymond E. Feist kicks off his new Firemane Saga. 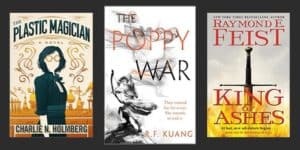 R. F. Kuang makes her debut with The Poppy War, the first book in a trilogy with its roots in Chinese history. Hopefully your TBR shelf is clear so you can start stocking up for summer reading. 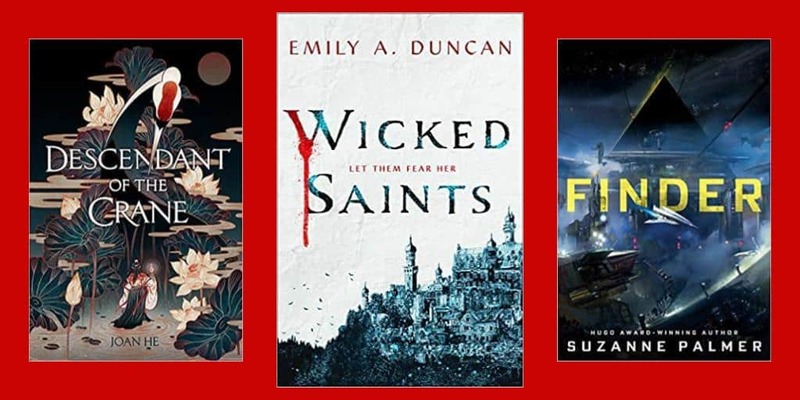 Whether you’re looking for a new series, a standalone, or a satisfying conclusion to a series, you can find it among these May releases. R. F. Kuang’s literary debut is a military fantasy set in the Nikara Empire, resembling 20th-century China in its turmoil and shifting power. Rin is an orphan of low standing from Rooster Province who somehow passed the Empire’s test to enter the Academies. She soon develops dangerous shamanic powers and learns that the ancient gods aren’t dead after all. The first two Poppy Wars were devastating, but most denizens of the Nikara Empire enjoy peaceful lives—but everything is in place for a third Poppy War. Rin must use her newfound powers and her connection to the vengeful Phoenix god to protect her future from an incoming war. 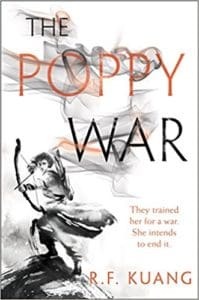 The Poppy War is the first book in a planned trilogy. 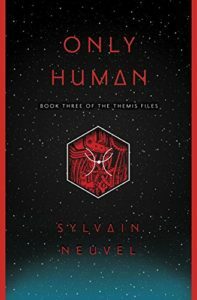 The Themis Files trilogy comes to a close with Only Human, picking up 10 years after the cliffhanger ending to Waking Gods, following in the series’ tradition of time skips. The Themis Files began with Rose Franklin’s discovery of a massive metal hand buried in South Dakota. She and her team discovered the scattered parts that were assembled to create the mysterious robot Themis. Twenty years later, Dr. Rose Franklin, returns to an Earth in danger after spending ten years on another world. 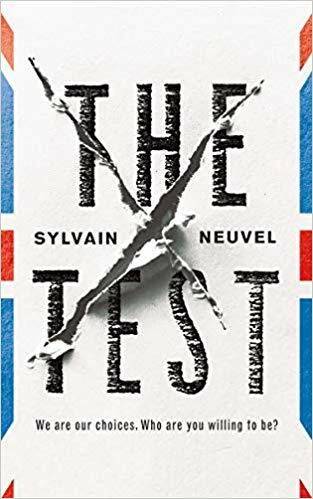 Neuvel tells this ambitious sci-fi saga through several interviews, which allows him to capture events on a global scale and from a variety of perspectives. Despite this, he still manages to create memorable characters and a narrative full of powerful moments. 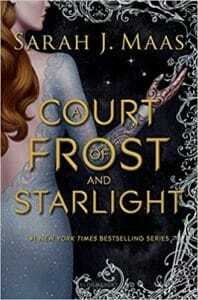 A Court of Frost and Starlight (A Court of Thorns and Roses series) by Sarah J. Maas. This accompanying story follows the events A Court of Wings and Ruin and prepares readers for the next books in the series. Told by Feyre and Rhysand, A Court of Frost and Starlight chronicles the recovery of the Night Court’s after the battle that changed the world. Feyre must adjust to her new role as High Lady and the demands of a wounded court. Though the Winter Solstice provides a brief calm, she and Rhys must be prepared to navigate a changing world. Murderbot earned its name in a massacre that it can’t recall with much clarity. It knows that it can be lethal, and in order to discover the answers to its past, Murderbot returns to the mining facility where it lost control. 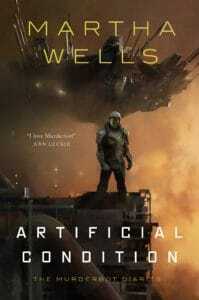 Martha Wells is sure to deliver another sci-fi adventure filled with moral dilemmas… and killing. 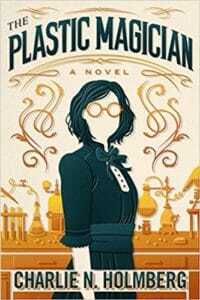 Holmberg’s next novel revisits the world of The Paper Magician, introducing Alvie Brenchenmacher, a young woman seeking to learn the art of Polymaking, the magic of commanding plastic. Alvie is ambitious and determined to make as many breakthroughs as possible while studying under the famous Marion Praff. Together, the mentor and student create something incredible, but a rival magician aims to take credit before they can show their invention to the world. 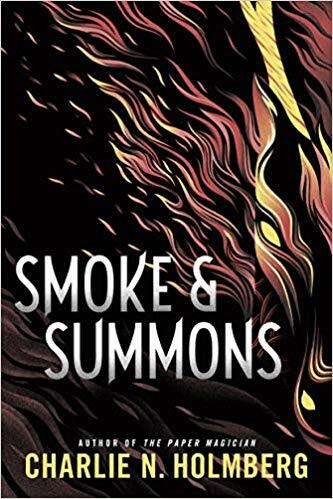 Set in the same world as his bestselling Powder Mage trilogy, this follow up to Sins of Empire presents a young country in a state of unrest and chaos. Our heroes, Lady Flint, Michel Bravis, and Ben Syke, are battling threats to their county on all sides. McClellan’s Powder Mage books introduced an unusual “flintlock fantasy” setting that feels fresh and fast-paced compared to a more traditional medieval world. If you’re a fan of Brandon Sanderson’s worldbuilding and magic systems, don’t skip McClellan’s latest fantasy series. 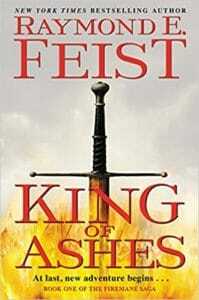 Raymonde E. Feist, best known for his Riftwar Cycle, is beginning a new trilogy with The King of Ashes. The five major kingdoms of Tembria lived in harmony until four kingdoms betrayed one: the Kingdom of Flames, Ithrace. When the ruler of Ithrace is killed, Tembria falls into what will forever be known as the War of Betrayal. Much later, the secret heir of Ithrace is raised in the Kingdom of Night, known of its lethal assassins. The heir does not know his own greatest secret. When he befriends a weaponsmith named Declan, the two men begin to discover the dangerous truth of the War of Betrayal. The first book of the The Firemane Saga promises to be a tale of fate and discovery in a world of bitter kingdoms. 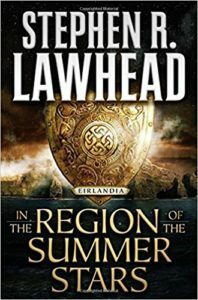 A new series from Stephen R. Lawhead is a historical Celtic fantasy, introducing Eirlandia, a land of tribes at war who must unite to face the powerful Scálda or perish. Conor is the son of the Celtic King, wrongly accused and exiled. Away from his tribe, he must prove his innocence in order to reveal secrets about the Scálda that are vital to the survival of Eirlandia. Five years after its 2013 Polish release, Season of Storms is finally getting an English-language edition from Orbit. This standalone work is set between two stories in The Last Witch, the story collection that introduced Geralt of Rivia. 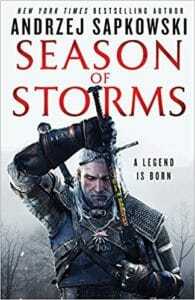 Though it can be read on its own, the story contains connections to other Witcher books and collections. In this story, Geralt is without the tools that make him a Witcher, and the world is becoming a dark and dangerous place. Geralt needs his weapons back to prepare for the season of storms.